Friendly producers for your media needs. Atomic Pixel is a friendly Brisbane Video Production and Gold Coast Video Production Company that has produced a large quantity of high profile, quality international and national media projects. Looking to create something? Broadcast TV advertising and social media promo video productions, to full blown TV series production. World wide launches of epic productions for interesting people included. If you want to drill down a bit to your particular style, there is PLENTY more to see in the portfolios section. Atomic Pixel are good problem solvers and have fresh and sensible solutions to the creation process. Many are impressed with the size and scope of the projects we produce without sacrificing a view and fresh air. We can do that for you! In fact thats the way we like it. There is nothing worse than you and your competitors ending up with the same stock image from a stock library video producer. We like you to be differentiated as much as possible. Atomic Pixel has a substantial track record working with very high profile companies and people, over an extended period of time. This must trigger the obvious thought that we get it right for long periods on end. Animated Motion Graphics - Social Media Ad; HiSmile Whitens teeth in only 10 minutes, this great little animation video for HiSmile will make you smile. 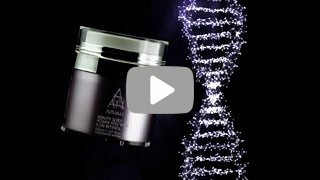 Beauty Sleep Power Peel - Our animation product launch campaign for Alpha-H - multilingual across the globe. 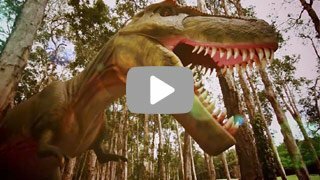 TVC - TV Ad; Palmersaurus on the Sunshine Coast rocks! Grand opening TVC with loads of fun dinosaurs. 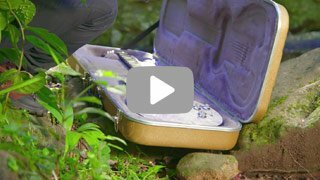 Without You - new release music clip from Shehzad Bhanji. Over 17K views and growing. Come and play on the Sunshine Coast’s stunning golf course at Palmer Coolum Resort. Showcasing the real life possibilities of robotics in the 21st century - our job is so much fun! Lamson robotic couriers are making an impact for aged care facilities - freeing up the time consuming to and fro material delivery work and allowing carers to do what they do best - care. 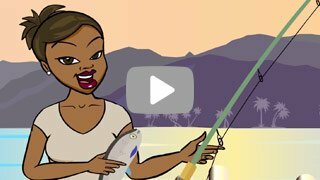 Set on Thursday Island, our REIS explainer video for Aboriginal and Torres Strait Islander business owners makes the guidelines for the government assistance program easy to follow. Corporate Documentary: An enormous behind-the-scenes look at what it takes to run the Poo Crew for a big music festival. KEVIN.MURPHY always give us great opportunities to produce experimental and creative vision. 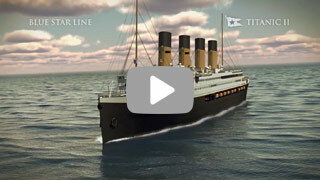 This is a small excerpt from a a panoramic show we produced for major events in Amsterdam and New York. The show was produced to a massive 8k wide screen resolution and projected along with the live fashion event. ABRIC is the new industry forum for engaging bricklayers for your building project. Australia wide, an ABRIC listing is a sure sign you are engaging a reliable contracting professional. The Crack Up Sisters distilled into 15 seconds of madness, mayhem and crack ups! Quirky show opener for the madcap sisters in comedy. Coming to Atomic Pixel is like coming to an oasis, escaping the chaotic world. Thanks for delivering a great set of animations. education video productions, along with social media ads, including simple online banner ads. Examples of our work - both new and old are here right through this site. As you can see the wide variety of projects that we work on, easily proves our strength as producers. At last count Atomic Pixel had created over 2500+ real world productions. Thats a lot of great work, and we get that much work by doing fantastic looking 'stuff' at reasonable and modern prices. We are normally by far the best value for money and sparkle per dollar in our commercial industry. More importantly - we have great people that are easy to get along with, and after having such an extensive amount of productions behind our belt... we make things quite effortless for you wherever possible. Give us the nod and things can just happen. We are are just warming up. Please check out one of the other portfolio example channels to the left for something that suits your needs. Online video advertising is often seen as a costly, luxurious type of advertising, reserved only for large brands with equally large advertising budgets. You are probably aware that online video advertising is bigger than in the past, with on-line video now accounting for a staggering amount of web traffic. There are various reasons to produce a video for your business on the Gold Coast or around Brisbane. The locations are stunning. A video will help to get the same message across on a mobile phone in a lot less time, as a video will use the entire screen. 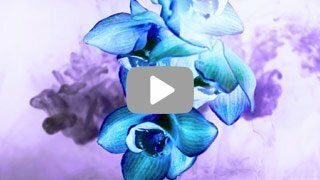 A video production campaign to promote your Brisbane or Gold Coast based company can be an excellent tool to make a quick and memorable impression. Using videos is now an established way of raising trust in your brand. In most situations, a video is just a far better way to display the advantages of your product than a plain text message. A video will bring a lot of prospects for your business. According to Forbes, 59% of managers would rather see a video than reading text. Overall a video helps you develop a more personable connection with your audience. Video Marketing or its production process isn't always expensive, or complicated. There's frequently an assumption that well-produced online video marketing (video production) can be too costly or time intensive, hence a poor self-made video is put forward to represent an otherwise quality brand. You can, however, get your hands on some high-quality video content with a professional production touch and to your video on the Gold Coast and around Brisbane, all for a reasonable budget. You could use online video advertising without spending a fortune on your video production campaign. Atomic Pixel can produce high-quality video content with a unique flavour, that can provide value to your audience. You can use it on your website or include a link reference in your e-mail subject line may help increase open rates by up to 19%. Online video marketing increases the time individuals spend on your website. Visitors spend more time browsing websites with video than those without. Video can help your potential audience make purchase decisions. These are only some of the advantages of using video in your on-line marketing. 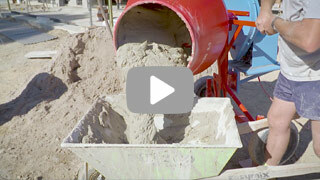 Video Production is just one aspect, making certain the video has a good effect is another. Get in Touch with one of our Video Production Experts on the Gold Coast or in Brisbane to discuss all your video production needs.